I once arranged to meet a girl from Tinder at a bar. After waiting for two hours and not getting a text back, I proceeded to get hammered on my own until I was vomiting in my toilet bowl some hours later. I thought it was the most tragic love story since Romeo and Juliet. I was wrong. Alexander Pieter Cirk made a 4,500 kilometre journey across the globe to meet his one true love, but he didn’t get the happy ending he’d dreamed of. The 41-year-old from Holland had been talking to a 26-year-old lady named Zhang, from China, for two months and arranged to meet her at Changsha Huanghua International Airport. When he arrived at the airport, Alexander waited for his online lover to show. And then he waited some more. In fact, he waited in the airport for 10 days. Alexander was reluctant to leave the airport without the dream woman he’d met on a dating app. That was until he was hospitalised after suffering from physical exhaustion. 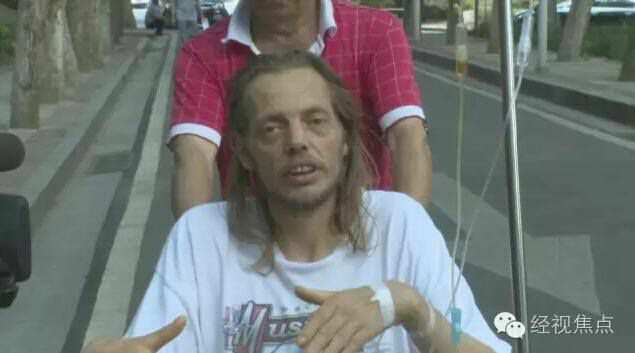 The jilted Dutchman was discharged on Monday and has since returned home to Holland. I’m sure you’re desperate to know why Zhang didn’t turn up. Well, she’s since claimed she thought the whole thing was a joke and that she turned her phone off because she was having cosmetic surgery in another city. Ah, that old chestnut. We had advanced our romantic relationship but later he seemed a little callous towards me. One day he sent me a photo of air tickets abruptly, and I thought it was a joke. He didn’t contact me later. Despite the heartbreak and exhaustion, the pair have continued talking online and they plan to meet once they’ve both recovered. Let’s hope there’s a happy ending to this. Poor guy.